»Ahmedabad To Vadodara – How About Relishing The Beauty Alongside Vishwamitri River? Ahmedabad To Vadodara – How About Relishing The Beauty Alongside Vishwamitri River? There are innumerable places around Ahmedabad which will certainly make a perfect weekend getaway for everyone looking to spend some time amidst breathtaking beauty. 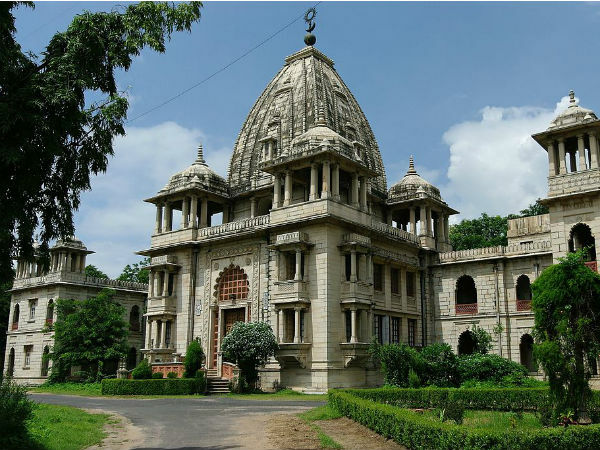 Vadodara is one such place located on the banks of Vishwamitri river around Ahmedabad, which assuredly needs to explored due to its richness in history and arts. Today, Vadodara is one of the fast developing places in India and has become a cultural, industrial and educational hub of western India over a period of time. It is extremely popular amongst tourists for its ancient buildings and everlasting charm. So, how about paying a visit to Vadodara this season? Featuring a semi-arid climate, it is advisable to avoid visiting Vadodara during the summer season. If you desire to spend some time under the clear sky amidst the calm atmosphere, then the best time to visit Vadodara is from October until the end of March. By Air: You can take a direct flight from Ahmedabad to Vadodara. The aerial distance between Ahmedabad and Vadodara is around 100 km. By Rail: There are direct trains available from Ahmedabad to Vadodara. You can catch a train from Ahmedabad railway station to Vadodara Junction. By Road: With an approximate distance of 110 km from Ahmedabad, Vadodara is easily accessible by road from Ahmedabad and other major cities. However, route 1 is the fastest and it takes minimum time to reach the destination. Hence, it is preferable. On your way to Vadodara, you can take a break at Nadiad and enjoy its beauty. Located in the Kheda district, Nadiad is one of the largest cities in Gujarat and is believed to be the settlement of rope dancers. Therefore, it is also known as Nandgam. Famous for its Santram Temple and Catholic church, Nadiad is an ideal spot to take a break at while on your way to Vadodara, as along with enjoying the peaceful environment of temples and churches you can taste the local cuisine of Kheda in Nadiad. Once you have reached Vadodara, you can visit the following places and explore their beauty. An example of Indo-Saracenic architecture, Laxmi Vilas Palace is a major hotspot for tourists in Vadodara. How can you visit Vadodara and forget to visit this grand and majestic palace? Built in the 19th century under the rule of the Maratha dynasty, Laxmi Vilas Palace has also been an important stoppage for filmmakers and several big-budget movies have been shot in its monumental compound. Spread over an area of 500 acres, it is four times the size of Buckingham Palace and is one of the finest pieces of royal architecture in Gujarat. Built by the Maratha dynasty in the year 1936, Kirti Mandir is a kind of cenotaph of the Gaekwads, the Maratha family who ruled Vadodara for decades and was formed to honour their ancestors who had ruled the Gaekwad kingdom. With certain wall paintings from the era of the Mahabharata, adorned pillars, decorated walls and beautifully carved patterns on the ceiling, Kirti Mandir is a must-visit place in Vadodara if you want to feel the royal aura of its glorious past. Raised high on an octagonal platform with five arches on each side, Hazira Maqbara is a masterpiece of Mughal architecture; it is a mausoleum which contains the tomb of Qutb-ud-din Muhammad Khan, who was the teacher of Akbar's son, Salim. Surrounded by a beautiful garden, Hazira Maqbara was built in 1586 and since then, it has been standing strong showcasing the fine work of artistry on its walls and arches. How about spending some time under the shades of Hazira Maqbara? Another must-visit place in Vadodara is, undoubtedly, Sursagar Lake which is settled in the heart of the city and has been flourishing since its formation in the 18th century. A statue of Lord Shiva is installed in the centre of the lake and is decorated with lights during the festival of Mahashivaratri. Even though boating is not allowed in the waters of Sursagar Lake, you can still sit on the concrete walls surrounding the lake and gaze at its spectacular views during the time of dawn and dusk. How about watching the Egyptian mummy and the skeleton of a blue whale? Well, if you have never seen such things, then Baroda Museum and Picture Gallery is your calling. Apart from watching mummies and skeleton, you can also witness the best of collections in the form of beautiful paintings, Mughal miniatures and several other ancient artefacts. Built in 1894, this elegant museum is surrounded by Sayaji Baug, a colourful garden. Would you like to travel back to the past of the country?